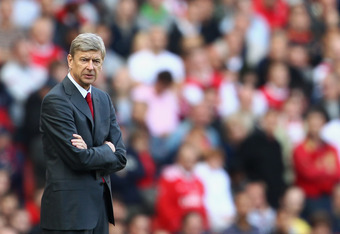 For Arsenal it was the same Achilles heel which has blighted us all season. Our soft defending has seen two points slip away at a crucial time of the season. The result isn’t a catastrophe but it is certainly a huge annoyance given Wigan had 10 men at the time and we had 3 points comfortably within our grasp. After the game, a lot of people in the media and Arsenal fans alike blamed the draw on Wenger and the wholesale changes which he made. But in truth, the equalising goal we conceded was purely down to bad defending by Squillaci and Fabianski. Squillaci did not follow the basics of defending and didn’t get anywhere near goal side of Caldwell. He then compounded it all by bundling it into the net. Fabianski lived up to his reputation of not commanding the box at set pieces and was in no man’s land when the ball was headed back across the face of the goal. Flappianski at his very best. We will never win the title as long as Wenger refuses to buy a top class commanding centre back and a quality goal keeper. It is so glaringly obvious where the team needs to strengthen, and we always hear about how much money there is available. Manchester City have already shown by splashing out 30m on Dzeko that they mean business. Chelsea and Tottenham will also probably strengthen in January. We mustn’t allow ourselves to be left behind and persist with Squillaci until Vermaelen is fit again. Points will continue to be dropped. I would like to see Johan Djourou given an extended run in the team. He played magnificently against Chelsea and controlled Drogba all game – the first time for a few years an Arsenal defender has managed to get the better of the Ivorian. In goal meanwhile, Szczesny is still young, but he is confident and commanding and also should get a run in the team now. He showed at Old Trafford he can handle the occasion and Fabianski simply isn’t good enough for Arsenal despite his decent form for a few weeks. When it really matters, he will still make bad mistakes and we will continue to concede from set pieces as he does not inspire any confidence in those in front of him. Looking forward, we will need to be at our best against Birmingham on Saturday if we want to take full points from St Andrews. They have an excellent record there and have already held Manchester Utd, Spurs and beaten Chelsea there this season. Cesc will be back from suspension which is a massive boost and the likes of Nasri and Song will be almost certainly be restored to the starting line up. It is games like these which are a test of our title credentials but I am confident that if we play to our best, we will beat Birmingham and cap off a pretty good Christmas period. COYR. Our Chelsea curse is finally over and we can gladly put it behind us. It was an absolutely fantastic performance from all the players as they stepped up to the plate in the perfect time to give us fans an amazing end of year present. This match should also pull us away from the ‘big match chokers’ title. Finally. Although Cesc Fabregas was the official man of the match, most fans felt it should have gone to Alex Song. I have often criticized him this season for being too attack-minded and failing to give effective cover when opposition often counter against us. However, it was due to his anticipation and hunger to score that Song found himself in a great position after breaking away from the crowd of defenders and provided that crucial goal right before half-time. Let’s see, who else had did outstandingly well? Oh yes ofcourse, Drogba finally DID NOT score a goal and that credit has to go to our central defenders. Djourou just added another impressive performance to an already fruitful season so far. He did so well to intercept and clear a bulk of the passes and crosses from the midfield towards the Drog. Koscielny was a bit hesitant and nervy at times, but he still looked quite confident most of the game and did enough to protect the goal. The likes of Song and Djourou have been playing like this the past few months, so it wasnt really anything new. What was new is that Walcott started, and gave us a match-winning show. He proved to us he doesnt just score and perform well against weaker teams like Blackpool and Partizan, but can make the likes of Cashley look like a fool! This shouldve been enough for our No 14 to send a message to Arsene that he should start games way more often, ahead of Arshavin and Rosicky. I was also so delighted to see Robin Van Persie in full stretch. His movement was impeccable and was always looking to find some space and receive the ball. There is really a stark difference when RVP plays up front, rather than Chamakh. They’re both very different players and I’m not sure when Wenger will be comfortable starting them both together up front. I still think their partnership has the potential to thrive, but it will take time. Unfortunately, we can’t afford to give them too much time! I know we shouldn’t be panicking for our match on Wednesday. It should be a straight forward game at the Emirates against a Partizan side that has lost all their Group Stage games so far. The pressure is still on! We should expect a win. We should also expect Arsenal to come 2nd in the Group. This may seem horrible in every context of progressing further in the competition. It opens up the possibility of facing a team like Barcelona or Real Madrid, Manchester United or Chelsea, Inter or Bayern Munich right in the first knockout round. Most people would blow out Arsenal’s chances against these heavy weights straight away, but history suggests otherwise. Although coming 1st in the Group Stages in the 06/07 season, Arsenal were knocked out to a much inferior opponent straight after in the Round of 16. On the contrary, when Arsenal finished 2nd in Group stages in the following 2 seasons, they progressed much further in the tournament and were knocked out by tougher oppositions. In my opinion, it actually doesn’t matter where you finish in the Group Stages, as long as you qualify for the Knockout phase. After that, you have to consider all the teams as equally strong. The Champions League isn’t just one of the best competitions in the world without a reason. Teams who win make things happen and perform to their level best to tilt the result towards their favour, rather than waiting for the opponent to make a mistake. What can we expect from Partizan tomorrow? Not too much. Since they don’t even have a chance for third spot, Partizan really have no pressure on them. They do have a talented forward in Cleo, but I’m sure he won’t be too much of a handful for our defense. I’m not expecting any magic from Arsenal this time around. All I expect is some great possession football and the conversion of most of the chances we create. We need to take matters in our own hands and win in a decisive manner, rather than depending on the Shakhtar vs Braga game. The morale in the Arsenal camp is high. It is also with us fans. We’ve finally established ourselves as serious title contenders by sitting at pole position in the Premier League almost half way through the season. Our Carling Cup team has shown fantastic composure and consistency to reach the semi finals. It’s about time we can think of putting all those trophy-less seasons behind and win some silverware. However, the Champions League isn’t silverware. It’s gold. So let’s put this game behind us quickly, and join the gold rush ASAP!